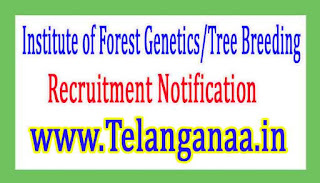 Institute of Forest Genetics & Tree Breeding invites Application for the post of 38 Technical Assistant, Multi Tasking Staff & Various Vacancies. Apply Before 10 February 2017. For Technical Assistant - 12th pass with science from a recognized board. Application Fee - Candidates Have to Pay Rs.300 through Demand Draft in Favour of Director Institute of Forest Genetics & Tree Breeding payable at Coimbatore from any Nationalized bank. No Fee for SC/ST/PWD/Women Candidates. 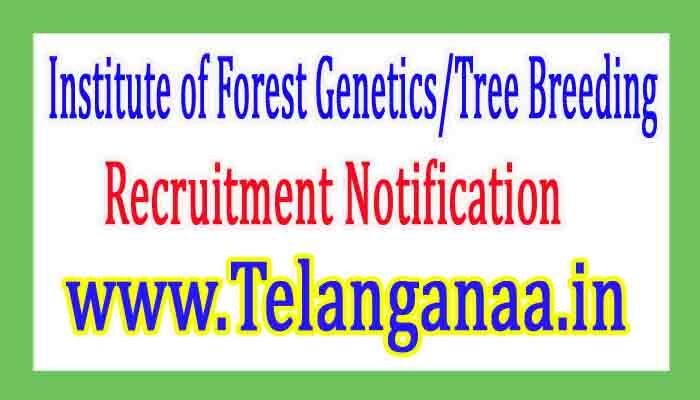 How to Apply IFGTB Vacancy - Interested candidates may apply in prescribed application form along with self attested copies of Certificates & testimonials send to the The Director, Institute of Forest Genetics & Tree Breeding, R.S Puram Coimbatore-641002 on or before 10.02.2017.